Associations: Virgo, Aquarius, Saturn, Mercury, the element of water and the symbolic meaning is readiness. It is famous for being the plant that Valium was derived from. Some cats love it more than catnip: they are attracted to a chemical in valerian which has an effect on their nervous system. They find valerian irresistible and will roll in the plant if the leaves have been disturbed or bruised, releasing the scent. Rats are attracted to valerian in the same way, so much so, that valerian is used by rat catchers to lure their prey into the rat trap!! Valerian has had a long tradition as a sleep-inducing agent, with the added benefit of producing no hangover feeling the next day and of not being addictive. Composted leaves are rich in minerals. Valerian is an easy to grow plant but requires fertile, weed-free soil. It can grow almost anywhere from damp areas to rocky high ground. Valerian is a perennial herb and is native to North America, Europe and Asia. It is difficult to germinate valerian from seed but you can divide the roots and successfully plant. *The herb will self-sow with little attention: the flowers will shoot aerial roots that will create new plants when rooted in soil. * When growing valerian for the use of its roots and rhizome (the section of the stem just above the surface of the ground), you should remove the flowering stems as soon as they appear. This will encourage the roots of the valerian to grow and thicken. * Young valerian plants will probably not flower for the first couple of years but they will still produce dense foliage and give a good sized rhizome and root in the autumn. * Cut flower stalks as soon as they appear to direct more energy to the root. Sow at the start of spring and lightly cover the seeds. *The spacing that you sow at depends on the species of Valeriana, sow small ones from 15cm to 30cm apart and larger species from 45cm to 60cm apart. Ideally valerian should grow in a sunny or partially shaded part of the garden that has a moist rich soil. Keep the herb well-watered. Propagating valerian: divide in spring or autumn. Start about three months in advance. The germination time of valerian is about 3 weeks when done at a germination temperature of 20 to 23 degrees centigrade. Transplant the young valerian seedlings into the garden following the last frost. Harvest in the spring or fall. Wash the roots, and then quickly dry at 120 degrees in the oven until brittle. Watch this closely so you don’t burn the roots. When stored in an airtight container, the roots will keep indefinitely. Use in spells for purification. Use in spells for money and riches and creative work. A sprig of the plant pinned to a woman’s clothing will cause men to ‘follow her like children’. Valerian Root is added to love sachets. E.g To attract a man: Blend equal parts of dried lavender, bachelor’s-buttons and clary sage, then add a pinch of valerian and a sassafras leaf. Put it into a sachet and carry it with you wherever you go. Put in pillows to promote deep rest. * Valerian is a stimulating/sedative and volatile herb. v Valerian is a digestive and intestinal relaxant, along with chamomile. v Laboratory tests show anti-tumor activity. * Do not take large doses or continuously. * Valerian may cause over-sedation: it can cause drowsiness and prolonged use may disrupt deep sleep which can lead to tiredness, even after a full night’s sleep. *In some people it may even have the unexpected effect of over-stimulating instead of sedating. * Valerian root should not be combined with sleep-inducing medicines. 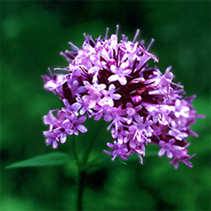 Volatile herbs such as valerian are easily extracted into water and therefore prepared as teas. v To relieve bronchial spasms and smoker’s cough. Roots and water, soothe my head. Use 1 tsp of mixture per 1 cup boiling water. Steep 10 minutes & strain. for 3 minutes then strain. Store the unused portion. *Suggestion: to cut the pungent taste that some people find unpleasant, blend this herb with other relaxing herbs such as passion flower, limeflower, chamomile, or lemon balm and a good teaspoon or two of honey. Previous Mermaid Queen Next Poll: An it harm none, do what ye will? Nicely updated!Im very pleased with the post!good work!